Elon College, North Carolina, USA: Primitive Publications, 1971. . 175 pages. Winford Jennings Berry (1908-1986) was editor of the Old Faith Contender, a Primitive Baptist periodical. Scarce.. Paperback. Average Plus. London: John Snow, 1845. . xiv + 410 pages, edges foxed. Defence of Infant Baptism by sprinkling by an English Congegationalist professor. Part 1: The Mode of Baptism (8 chapters); Part 2: The Subjects of Baptism (4 chapters); Part 3: Baptismal Regeneration (4 chapters).. Cloth. Average Plus. Edinburgh: Oliver and Boyd, 1953. . xii + 253 pages, a few instances of pen marks to margins in Chaper 16.. First Edition. Hard Cover. Average Plus. Scottdale: Herald Press, 1972. . 360 pages, stapled photocopy of the 1972 book. 23 essays by assorted scholars on topics relating to Anabaptist Research and Interpretaion; The Rise of Anabaptism; The Theology of Anabaptism; . Pamphlet. Average. Cambridge: Harrison Trust, 2014. . 32 pages. Some minor stains to cover.. Pamphlet. Good. Irvine, California, USA: New Reformation Publications, 2016. . xiii + 177 pages, a defence of various Lutheran distinctives against the differing positions of Calvinists.. Cloth. Very Good/Very Good. Eugene, Oregon, U.S.A.: Wipf and Stock, 2012. . xlii + 339 pages.. Paperback. Very Good. London: Religious Tract Society, 1899. . xv + 367 pages, covers a bit worn and stained, endpapers etc foxed.. First Edition. Cloth. Average. Edinburgh: A Fullarton & Co, 1859. .  + ix + 630 pages, undated, text block detachded from covers, front board detached from spine. Internally foxed. and ith some damage to preliminary pages. Includes Pleasantness of a Religious Life, Sober-mindedness, The Communicant's Companion, Family Hymns, A Treatise on Baptism, and numerous shorter pieces.. Half-Leather. Poor. London: Hodder & Stoughton, 1888. . viii + 258 pages, covers a bit dampstained (little or no discernible smell).. Cloth. Average. Edinburgh: Banner of Truth Trust, 1985. . 366 pages. Good sized print. Edges grubby/foxed, previous owner's name to inside front cover.. Paperback. Average. 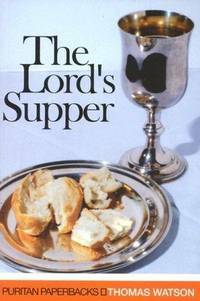 Edinburgh: Banner of Truth Trust, 2004. . 86 pages, first published in 1665 as The Holy Eucharist.. Paperback. Good. St Louis, Missouri, USA: Concordia Publishing House, 1981. . 302 pages; some marking and annotation in coloured pencil, pen, and highlighter! Martin Chemnitz (1522-1586) studied under Luther and Melanchthon and was a major early Lutheran theologian. . Hard Cover. Average Minus. Tain: Christian Focus Publications, 1989. . 358 pages, paper browned.. Paperback. Average. Edinburgh: T & T Clark, 1880. . 129 pages. Undated, but evidently an early printing.. Cloth. Average.